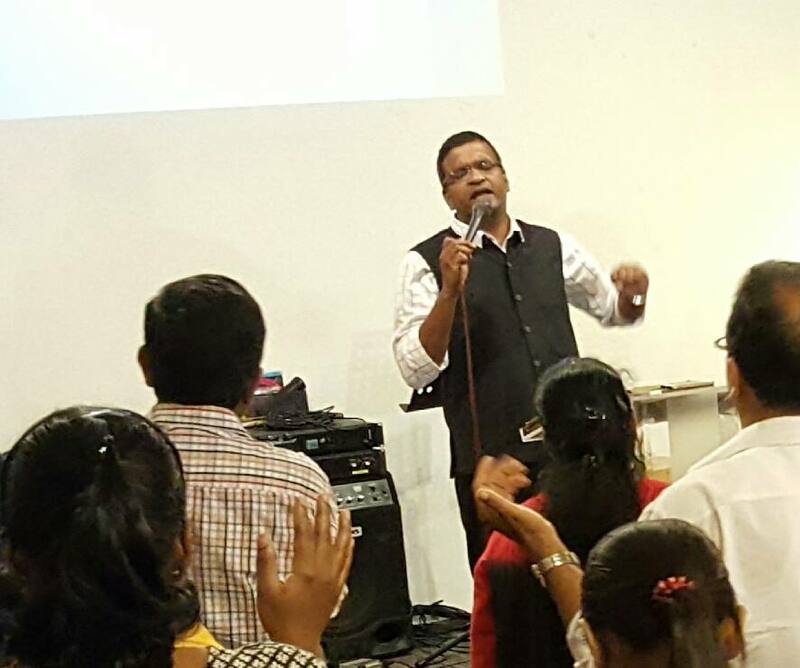 Pastor Raison Thomas and the team were in Singapore during the Good Friday and Easter services, on invitation by City Revival Ministries. 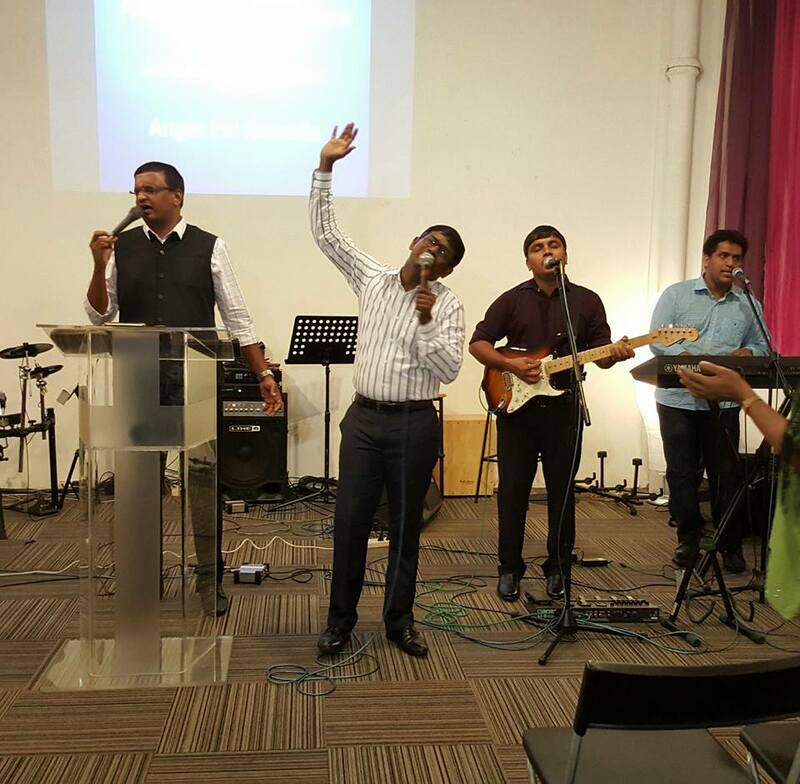 The praise and worship were led by three dynamic individuals – Lordson Antony, Jomon philip, and Junu Sachin. The Good Friday service focused on the melodious praise and worship, followed by a short power-packed sermon by Raison. Right from the start of the message, the power of God fell on people as he preached the Gospel of Jesus Christ. People were being electrocuted under the Power of Holy Spirit. What I witnessed was nothing short of Acts chapter 2, on the day of Pentecost when the Holy Spirit first fell on people. It was a struggle for people to stand on their feet. Some were thrown away from their seats. The human body is too weak to handle this power. The next day, again people were experiencing the awesome power. No sooner, Raison started preaching, the power of God hit people. 1 Corinthians 2 And I, brethren, when I came to you, did not come with excellence of speech or of wisdom declaring to you the testimony[a] of God. 2 For I determined not to know anything among you except Jesus Christ and Him crucified. 3 I was with you in weakness, in fear, and in much trembling. 4 And my speech and my preaching were not with persuasive words of human[b] wisdom, but in the demonstration of the Spirit and of power, 5 that your faith should not be in the wisdom of men but in the power of God. It was the Holy Spirit led service. People were slain under the power of the Holy Spirit. They looked like being drunk in Spirit. Even the meekest and reserved were shouting, and dancing under the joy of the Holy Spirit. It was an unforgetful experience. Praise God for the beautiful Good Friday and Easter services. This entry was posted in Malayalam Fellowship and tagged Pastor Raison Thomas. Bookmark the permalink.